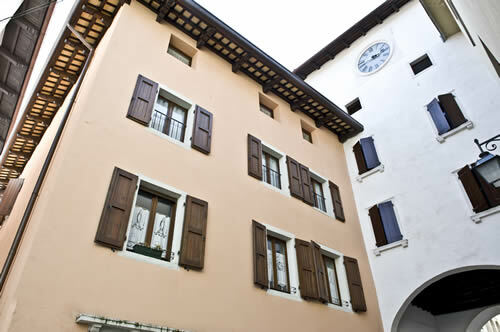 The Bed & Breakfast Relais la Torre is situated in the old town of Spilimbergo, next to the West Tower. Offers its guests a pleasant site, relaxation and the charm to stay in a medieval atmosphere village. Housed in a large, bright attic, the B & B Relais La Torre has two suite completely independent furnished in a refined and elegant manner with private bathroom and a spacious living room Tea and fruits flavoured tea tasting is always available to guests. Breakfast self-contained with sliced bread, butter, jam, Nutella, fruit juices, tea, Nescafé, croissant, biscuits, rusks, honey, yogurt. Large free car park at 200 meters. Laundromat within walking distance in 5 minutes.